FAQ :: Allied Parking Inc.
Am I guaranteed a space with my monthly contract? Can I enter and exit as much as I want in one day? Can I pay for my monthly parking automatically with my credit card? Can I leave my car in the ramp if I go out of town? If I have a monthly contract, can I park at any Allied Parking location? What do I do if I lose my access card or hanging tag? How do I return my access card and get back my deposit? If I am going to an event at Target Center or Target Field where should I park? If I am going to an event at Xcel Energy Center where should I park? What is the clearance for your ramps? Do you offer bus, trailer or RV parking? What if I have a question that is not on this list? 1. How do I sign up for monthly parking? You can sign up for monthly parking through our website or we can email you a contract. 2. Am I guaranteed a space with my monthly contract? Yes. If you have a monthly contract you are guaranteed a space even if the ramp is full. You are not guaranteed a specific reserved space unless it is designated in your contract. If the ramp is full and you cannot find a space, please see our customer service representative on duty or call the facility office. The phone number is posted at the entrance. 3. Can I enter and exit as much as I want in one day? Full time monthly contracts afford you unlimited in and out privileges. Evening contracts afford you in and out privileges during the normal contract hours. Daily parking does not allow for multiple entries and exits. A ticket must be pulled and paid for with each entrance. 4. Can I pay for my monthly parking automatically with my credit card? Yes. Please contact our accounts receivable personnel at 612-332-0391and they will take your credit card information and Allied will charge your credit card between the first and fifth of each month for your contract. 5. Can I leave my car in the ramp if I go out of town? Yes. If you have a full time monthly contract with 24/7 access you can park for extended periods. We do ask that you notify the ramp manager if you will be leaving your car for more than 24 hours. If you do not have a monthly contract you can still park, but daily parking fees will apply. 6. If I have a monthly contract, can I park at any Allied Parking location? No. Your contract is only good for the location you have signed up for. 7. What do I do if I lose my access card or hanging tag? Please call the facility office to acquire a replacement access card or hanging tag. Fees for replacement items will apply and vary with location. 8. How do I cancel my contract? Allied Parking requires a 30-day written notice to cancel all contracts. You can provide your notice via fax at 612-332-0248, email to info@alliedparkinginc.com, USPS or the “contact us” page. 9. How do I return my access card and get back my deposit? 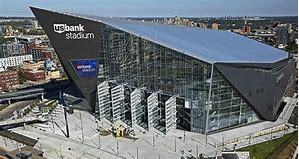 You can either drop your access card off at the ramp office as you exit on your last day or you can mail it to Allied Parking, Inc., 800 South 9th Street, Minneapolis, MN 55404. If you mail it, please send it in a padded envelope to avoid damage in the USPS system. Access card deposit refunds are only available to customers who commenced parking prior to January 1, 2015. 10. 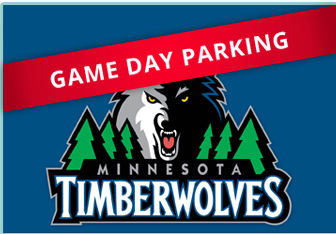 If I am going to an event at Target Center or Target Field where should I park? 11. If I am going to an event at Xcel Energy Center where should I park? 12. What is the clearance for your ramps? Height restrictions are provided on each individual location page on our website. 13. Do you offer bus, trailer or RV parking? Yes, but only at select locations. Two weeks advanced notice is required. 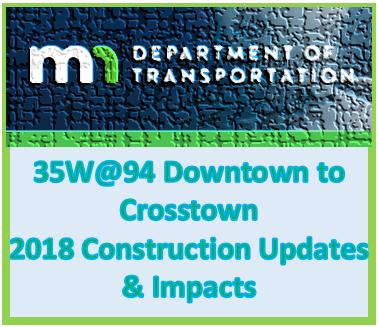 Please call our main office at 612-332-0391 to make arrangements. 14. What if I have a question that is not on this list? Please call our main office at 612-332-0391 or go to the "contact us" page on our website.